Sat., 8 Jun. - Thu., 20 Jun. 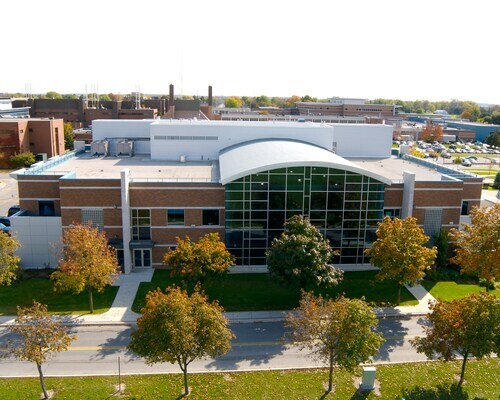 Situated in London, this hotel is 1.1 mi (1.8 km) from Argyle Mall and 2.8 mi (4.4 km) from Fanshawe College. Budweiser Gardens and London Convention Center are also within 6 mi (10 km). 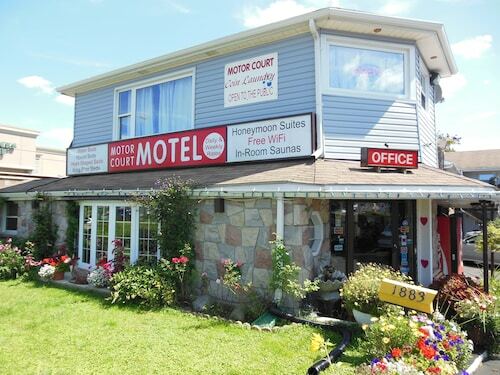 Situated near the airport, this motel is 0.7 mi (1 km) from Argyle Mall and 2.3 mi (3.7 km) from Fanshawe College. East Park is 3 mi (4.9 km) away. 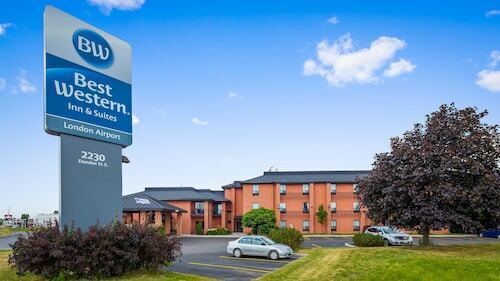 Situated near the airport, this motel is 0.2 mi (0.3 km) from Argyle Mall and within 3 mi (5 km) of Fanshawe College and Western Fair Entertainment Centre. East Park and Banting House are also within 3 mi (5 km). 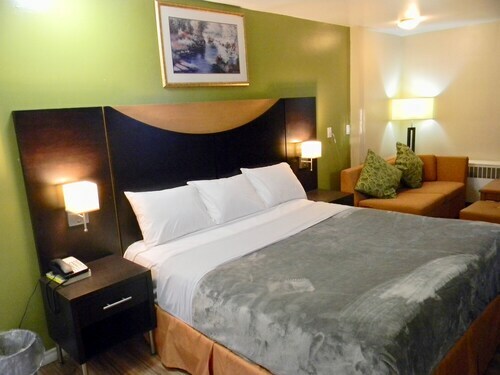 Situated in London, this hotel is within 1 mi (2 km) of Argyle Mall and Fanshawe College. Western Fair Entertainment Centre and Banting House are also within 3 mi (5 km). Situated in London, this hotel is within 3 mi (5 km) of Fanshawe College, Argyle Mall, and Western Fair Entertainment Centre. Banting House is 3.1 mi (4.9 km) away. 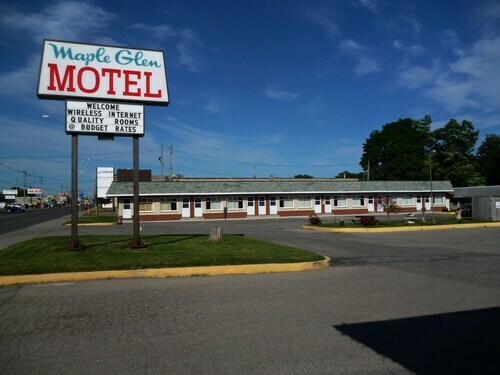 Situated in London, this motel is within 1 mi (2 km) of Argyle Mall and Fanshawe College. London Convention Center is 3 mi (4.8 km) away. 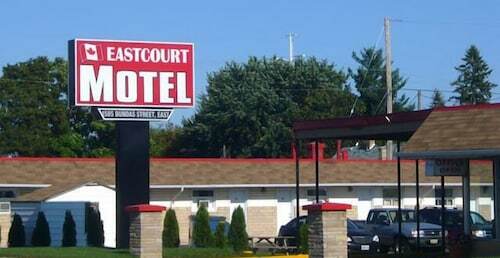 Situated in London, this motel is within 1 mi (2 km) of Argyle Mall and Fanshawe College. London Convention Center is 2.9 mi (4.7 km) away. Flights from Pierre Elliott Trudeau Intl. to Greater Fredericton Intl.